2P START! Live! 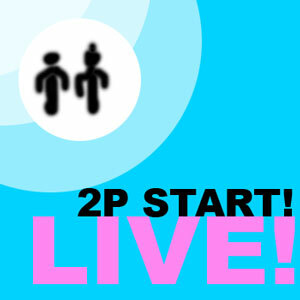 : Unplugged Edition | 2P START! We’re getting earlier and earlier with these podcasts (Andrew should be happy). With Ray away, the podcast is missing a little music, but that doesn’t mean the content will suffer. This action-packed episode features Ray’s brother Eddie who joins the discussion of the new Nintendo Channel along with everything else! Since I don’t have tv reception, it was awesome to be able to watch tv commercials from the internet, through my Wii, on tv. Of course, I still had to take my Wii to church to do it. Hey man, Dr. Game very possibly has a broken finger. Or ten. My streak of comments of the week has been broken. @Ray: What about that old “Sega does what Nintendon’t” campaign. Some parents just throw money at their kids, hoping everything will be ok. I loved the art and music this time. I have to ask Tim, what the heck is up with that logo man? What would’ve happened to this weeks comic’s logo if I hadn’t stepped in. The Trivia isn’t Super Mario Bros World 1-2 Andrew >_> , cause that song goes “doo DO, doo DO, doo DO”, and the trivia went “doo DOO, doo DOO, doo DOO”. Do Virtual Console game channels count? Cause if so then I use the Mario Kart 64 channel most. But besides that I use the Mii channel most. Every once in awhile I’ll go check out my Mii’s when I’m bored. Dr.Game has many offenses and there’s a warrant out for him by the grammar police. Eddie is a welcome addition to the podcast! @Tim: …..>_> thanks for the Black Doom reference…..you’re fired….. The Kid Icarus concept art reminds me of Rygar for PS2. And so now Pit is supposed to be a Lucifer/Kratos mash up? You might be interested to know that RAY did the artwork for the podcast this week! As soon as I saw it I told Ray that everyone was going to think I did it and rip into me. I think I heard him respond with an evil laugh, “MWUAH-HA-HA!! !” Looks like his evil plan worked! DJ,You might be interested to know that RAY did the artwork for the podcast this week! As soon as I saw it I told Ray that everyone was going to think I did it and rip into me. I think I heard him respond with an evil laugh, “MWUAH-HA-HA!! !” Looks like his evil plan worked! Golly gee willikers. Sure fooled me >_< . Is Ray really that bad at pencil drawing? When I first read that, I thought that you meant he had done the Kid, err, Man Icarus drawings >< That would certainly confirm the theory that the game is fake! I use the Interwebz Channel the most. I’d like to see you guys to a better logo/channel title thing. Then I can print it out an paste it on top of my TV screen, Okami-style (or Mario Kart style, whatever your preference is). Hopefully, that Kid Icarus concept art was the rejected stuff and trashed. Which would explain how it found its way to the internet. Great podcast as always, maybe you should get that 3rd player (sorry, forgot your name :P) in a regular basis. The problem with Ms. Rosie Millard (besides that her name is Rosie which makes for immediate comparisons to an American TV persona of the same first name) is that not only did she purchase the DS from Hong Kong, she also bought only ONE!!! Let’s do the math here: one DS (NOT “Nintendo”, you bloody git) + four children under the age of 8 = chaos and madness. She bought ONE DS that everyone wanted. Of Course they’re want to fight over it! If she wasn’t mental and didn’t have her knickers in such a twist over how much her children are so bloody “perfect”, she would have had the sense to get her children four of the bloody things! Or, even more brilliant, buy a Wii! Wii’s allow more than one player at a time, love. Try it!! I counted all the Rays (65) an all the Tims (45+2 mii) in every comic. That’s one Ray per comic! Also we need more Eddie to podcasts! So not only has she been a terrible parent (who according to her blog, her children can do no wrong and will yell at people who comment on her ill behaved children in public), but a software pirate as well.